Fred, at age 97, and Irene, his bride of 75 years, were able to maintain their independence and live together at home with the help of Catholic Charities homecare staff member, Jean Wilber. 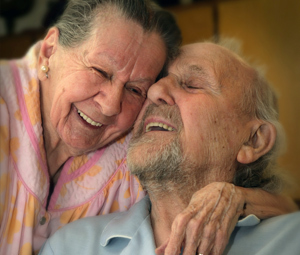 Jean helped Fred with his personal care, freeing Irene of worry so their time together could permit more moments of joy. With Catholic Charities help, Fred was able to remain at home with Irene until shortly after his 100th birthday.